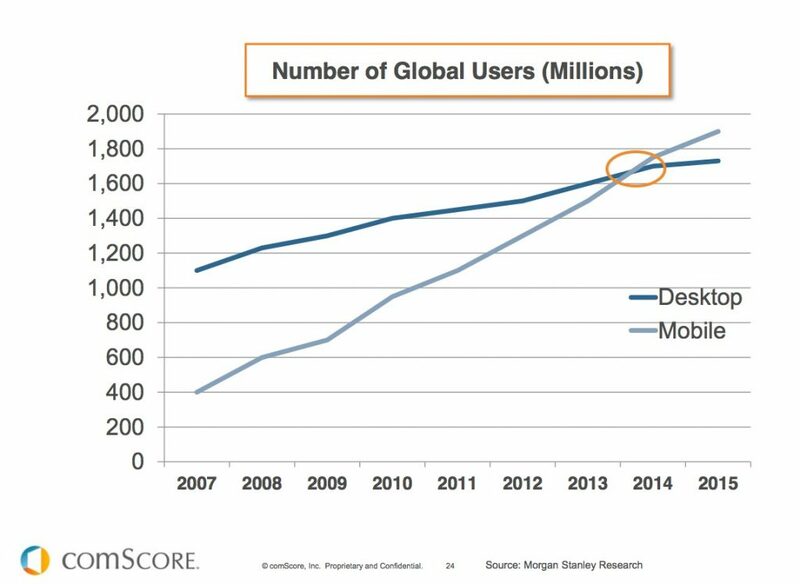 If you’re not heavily courting mobile device users, expect your business to fail in the next five years. Hopefully my bold statement and that comScore graphic got your attention. If you’re a content producer, you cannot ignore mobile users. Yes, that means having a great looking, responsive mobile website, but it also means engaging your users in a custom app designed for your site. Let’s think about that last statement for a moment. Do you really need an app for your website if you already have a great mobile site? To answer that, ask yourself: How much time do you spend on your phone or tablet each day? Of that time, how much of it is in apps versus your mobile browser? If you’re anything like the typical user, 90% of your time is spent in apps. As a mobile society we’ve grown accustomed to using apps. It’s just quicker to load up an app and flip through it than it is to open up the browser and clumsily tap a site name into the url bar or do a search at Google to find it. Of all the time people spend on their mobile devices, only 10% of that time is in the browser. That means if you limit yourself to a mobile website you’re missing out on a potential explosion of traffic and revenue. 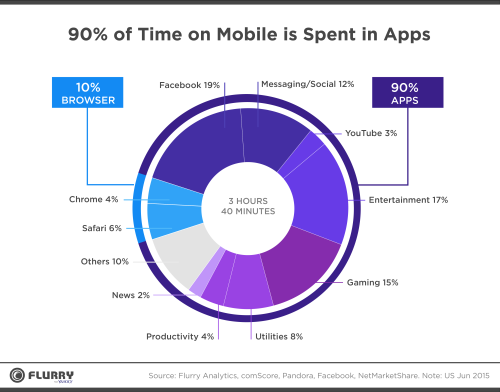 I’d be remiss to ignore the fact that the chart in the previous section shows most of people’s app time being spent in entertainment-focused apps. If your business is entertainment-focused, that’s even more reason for you to create an app. If it’s not, notice that 1 minute out of every 4 that people that spend on their phones outside the browser is not related to entertainment.. That’s still two and a half times more time than people spend in their mobile browser. So unless you want to miss out on 240% more traffic to your site, you need an app. 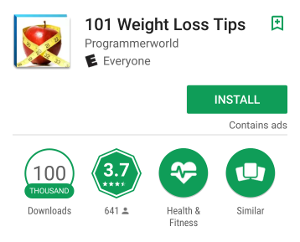 I found all three of these apps at the top of Google Play’s search results for “weight loss tips”. All three are basic apps. 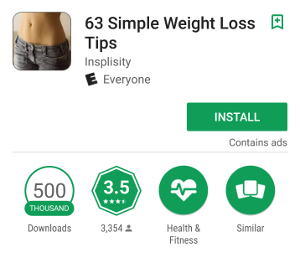 There’s nothing fancy or impressive about any of them, and yet collectively they’ve been installed by more than 1.6 million people — and that’s just from Google Play. Add the numbers from Apple and Amazon (whose app store is very popular for the many millions of Kindle users), and we’re talking double or triple those figures just for the top 3 apps. Keep in mind that these example apps are purely informational in nature. They’re not games, they’re not productivity apps — they’re not really any different than a mobile website in any way except that they’re an app. Woodworking: When you publish posts every week (or day) with a new pattern, or technique, review or tool advice, you help people interested in woodworking get better at it. You think they want to take a laptop out to their workshop? Some may, but imagine the convenience of having the information on a phone. It could be right in front them them while they work. Knitting: This is almost the same as for woodworking. You can publish instructional videos and techniques that your viewers can watch anywhere. The knitters and crafters I know like to do their stuff when they’re sitting in queues, or otherwise just killing time. Patterns and ideas on their phone can be taken anywhere. 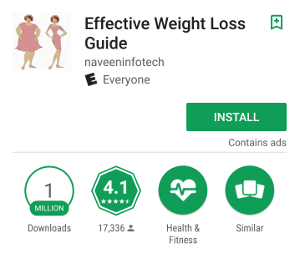 Weight loss: You’ve already seen the types of application shown above. Weight loss tips are invaluable if you’re eating out – who wants to pull out a laptop? Exercise routines: Guess what? I don’t take my laptop to the gym. How many do you see in the gym? Even the basic information is only valuable if you can access it. Since almost everyone has a smart device these days, it tends to stay with them. Are you starting to see why you need to get an app created for your mobile users? Maybe you agree that you need an app for your mobile users, but think that they’re very expensive to have created. That used to be true, but it’s not anymore. Basically all you really need is a great mobile website that’s “wrapped” into an app that turns your website into an app. While it’s not quite that simple, that’s the basic concept. Honestly, the hard part isn’t so much the creation of the app, it’s getting everything right with the app so it will be accepted into Google Play, Amazon’s App Store and the Apple App Store (especially the Apple App Store — sheesh). The potential benefits however, are huge. Let me be clear here: having an app for your mobile users does offer massive potential, but just having an app created and submitted to all the aforementioned repositories isn’t going to immediately result in a huge number of downloads and installs. Just like your website, you need to promote your app. One great way to do that is from your mobile responsive website. All of the app stores base the ranking of your app in large part on the number of users and the ratings that those users give your app. High installs and good ratings combined with good title, keyword and tag use pushes your app higher in the search rankings of the app stores. So if you can get your current mobile visitors using your app, not only does that increase retention by making your site easier for them to access when they want to, it also helps promote your app in the stores, which can result in an explosion of new users beyond what you’re already getting to your mobile site. Just to be clear: I’m not advocating you ditch promotion of your mobile responsive site in favor of an app. Recent studies show that more people make purchases from a mobile browser when on the go than from an app, but that apps build loyalty, brand awareness and user engagement. As a content provider, having ads in your app is a great way to increase revenue as well. 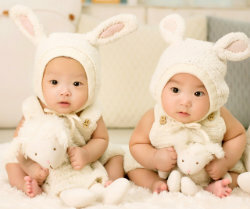 To maximize the presence and profitability of your online business, you want to take advantage of both avenues. Mobile is where it’s at. We all know that. So make sure you’re doing all you can to grow the mobile side of your business so you don’t get left behind. Ask your questions, share your thoughts and your own personal experience in a comment below! Build a Brand Rather than an Income and You’ll End up with Both! Imagine having a dream that one day you would be famous. Your goal is to be famous, so that is what you focus on. You brainstorm ideas on how to be famous. You buy books that provide ideas on how to become famous. You try everything you can think of that might make you famous, hoping that you’ll eventually come across the golden idea that will launch you into stardom! Then one day, after so many years and so much time and money spent trying to be famous, something happens that puts you in the headlines! You are seen by millions. People are talking about you. You are famous! You’d done it!! That is, until the next day when the next big headline has come and you are forgotten about. Now, let’s consider some of the most famous people of all time. How did they get their fame? Was their goal to be famous? Is that how they became famous? No, of course not (at least not in most cases). Thomas Edison was a passionate inventor. Though he was also a businessman, his focus was not on making money, it was on invention! in the process, he became very rich (and famous). Michael Jordan’s primary passion was for the game of basketball. In the process he became a Billionaire. Michael Jackson’s passion was for music. The list goes on and on. My passion lies in software development and helping others succeed. I love coding and I love helping others succeed. Both of those things truly satisfy me. As a result, I’ve made millions of dollars. 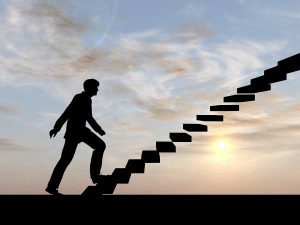 Though it is true there are some exceptions, most people who are successful, get there with one or two specific passions that they focus their time and money on. Today I want to ask you a question. What is your focus? Is it just on making money? If so, you may be building a house of cards as they say. You may be just like the proverbial fame seeker I mentioned above who finally got what he wanted, only to see it vanish the next day. If you do not feel like you’re going in the right direction with your online business, do this: Forget about making money and resolve today that you will focus on building a brand! What are you passionate about? 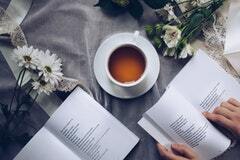 What really motivates you? What can you really provide value in? Go with that and work to build yourself up in that niche, whether you make money or not. Do this and you’ll be building your business on solid ground. That money may not come quickly, but it will come!